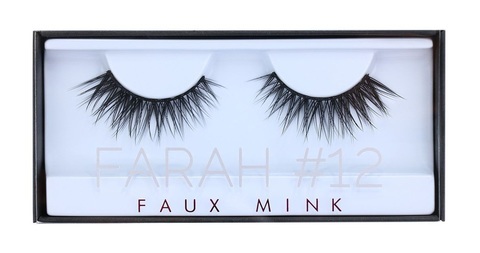 Made of synthetic mellow fibers that mimic the appearance of mink fur, the faux-mink lashes are the ultimate add-on to your everyday make-up look. 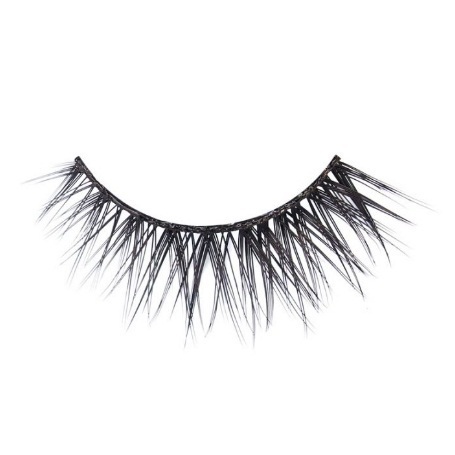 The innovative, tapered fibers are placed in 3 intricate layers on the band, giving the lash an emphasized fluffiness and softly dramatic effect. Each lash can be used up to 15 times depending on care. No need for mascara. FARAH #12: With eyebrow-grazing length and believable volume, those triple stacked lashes are ideal for those with larger lids, prominent brow bones or who like a more high impact make-up. 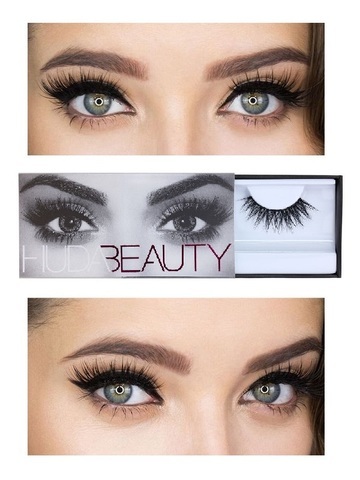 Perfect for regular users and lash lovers. Lash Glue sold separately. All our lashes are hand designed by beauty guru Huda Kattan and hand-crafted with the finest material quality to be the most beautiful and confortable lash you will ever wear. 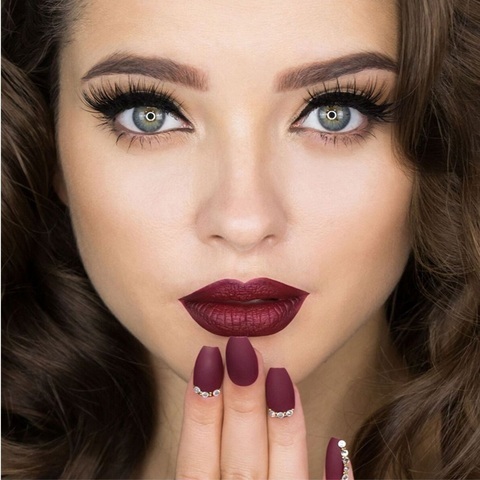 Whether your are looking for a natural finish or a very dramatic style, synthetic fibers or natural hair, our collections are constantly evolving to adapt your needs and make sure you keep having fun playing with your look. Inspire us! Send us your pics #shophudabeauty.com Or get inspired and follow @hudabeauty on Instagram, Youtube and Facebook.